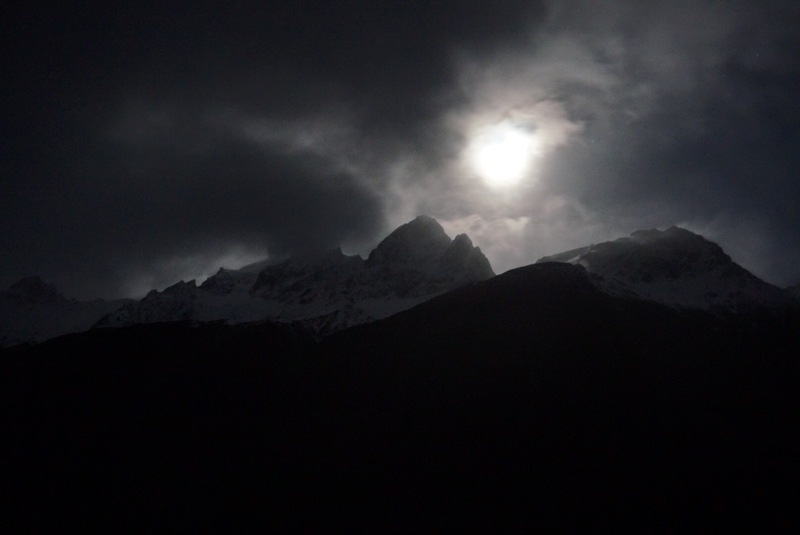 Few people will venture beyond the sealed road along the Matukituki valley. Especially with a mountain bike! I had ridden this track to Aspiring but before, but this time we planned to stay over night. 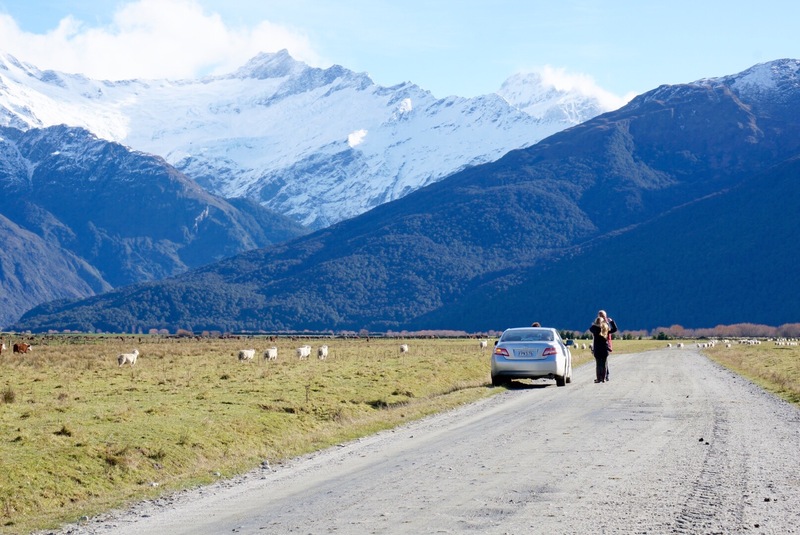 Within 2.5 hours we drove out of Wanaka and ridden up the valley while taking photos along the way. 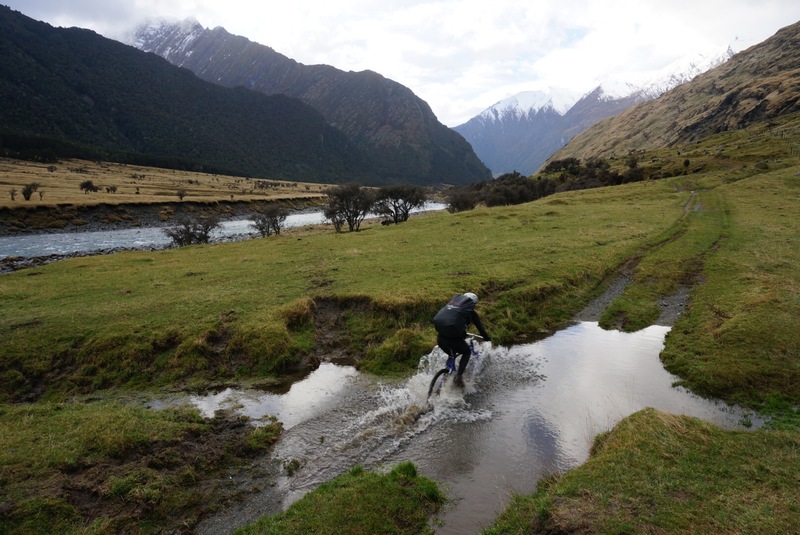 Only a few river crossings to tend with which made both driving and riding great fun! Memories of jumping in puddles those years ago flood back to me. 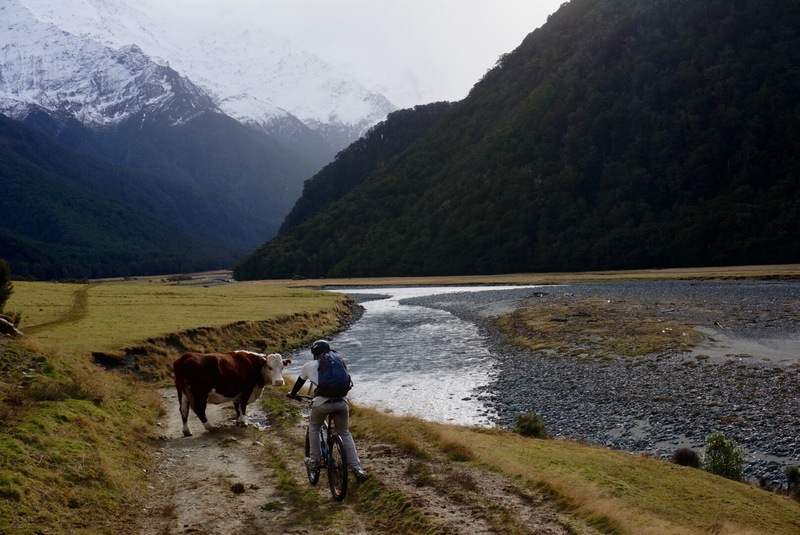 The track was in great condition along the way giving us beatific views of the Southern Alps and Matukituki river. 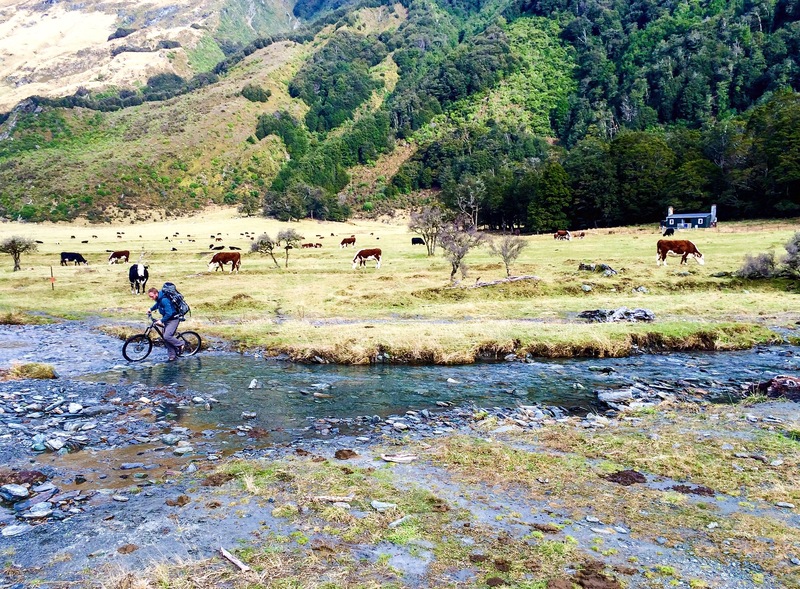 We pushed our bikes up only a few steep pitches and enjoyed tearing down the other side dodging cow poo and non-shallow puddles. It didn’t really matter if we rode $5000 or $50 bike, it was simply a way to add more thrill to the Aspiring hut journey. The only tech issue was a broken chain and soggy pants. It did rain a little bit. The skies however cleared up during the night and the photographer in us thrived searching for ‘the shot’. My little Sony mirror-less was a little underpowered next to the Canon 5D, Alex was using. Still fun getting outside the hut and being creative. 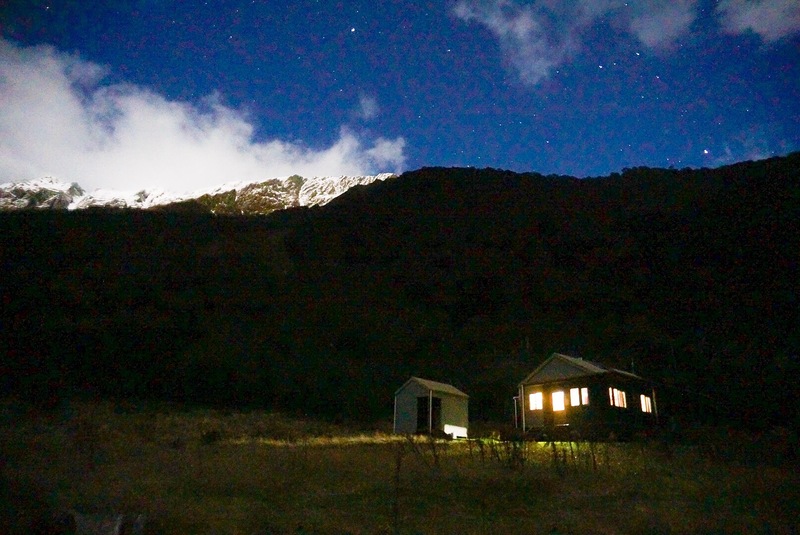 The merino kept us warm as we watched the full moon light up the snowy mountains. Always put your car keys in a safe place! A lesson learned from a girl who travelled with us (who shall remain nameless) – on day one they slipped from her pocket and were fortunately found hanging from a fence post meters from her truck. Oh New Zealand, keep up the good karma. 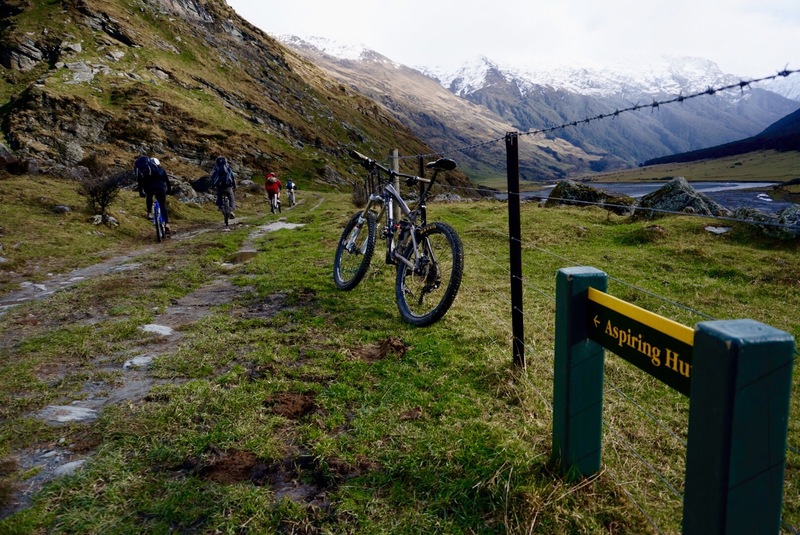 The Aspiring valley is also famous for the Rob Roy glacier walk. Another favorite of mine and is only a swing bridge crossing detor off the main track. 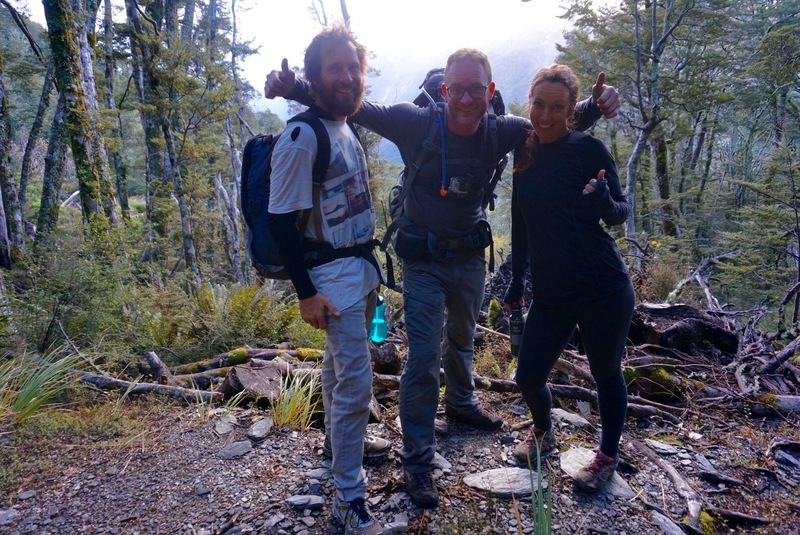 Hiking up towards the Casscade saddle and discussing the 3 best skills we could bring to the team in the event of a zombi Apocalypse. The look on her face when the truck keys were found. 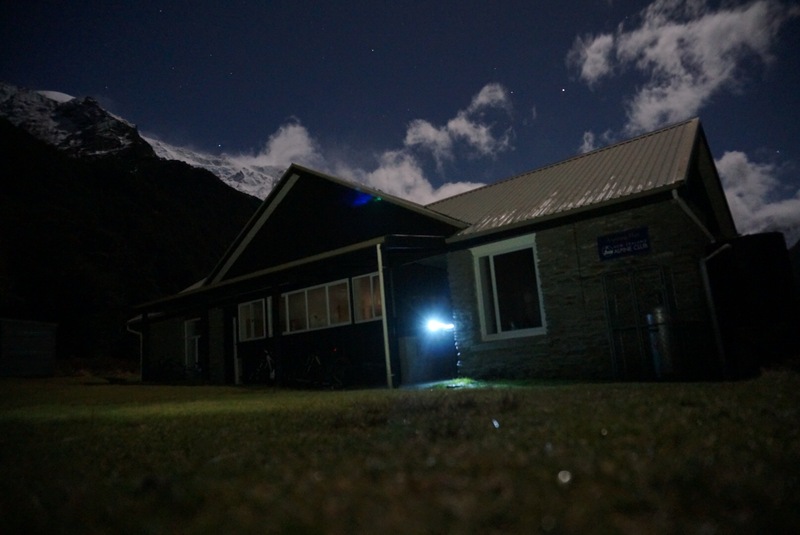 The next ride up the valley will involve hiking deeper into the Alps to Liverpool hut. Be sure to pack your finest snacks!